MK Autocomponents India Limited define quality not only as conforming to the requirements of our customers but exceeding them. 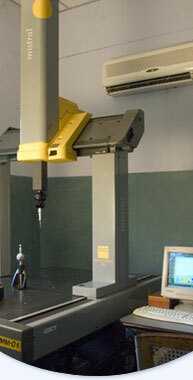 Several state-of-the-art measurement and calibration facilities are available on site for this purpose. There is a complete Magnaflux equipment and material wet analysis for comprehensive raw material testing and analysis. MK Autocomponents has a full fledged metrology lab to calibrate all the gauges and fixtures. MK Autocomponents India Limited has a dedicated team for Total Plant Maintenance (TPM) practices and continuous improvement. MK Autocomponents India Limited was one of the first SMEs in India is certified for standards ISO/TS 16949.